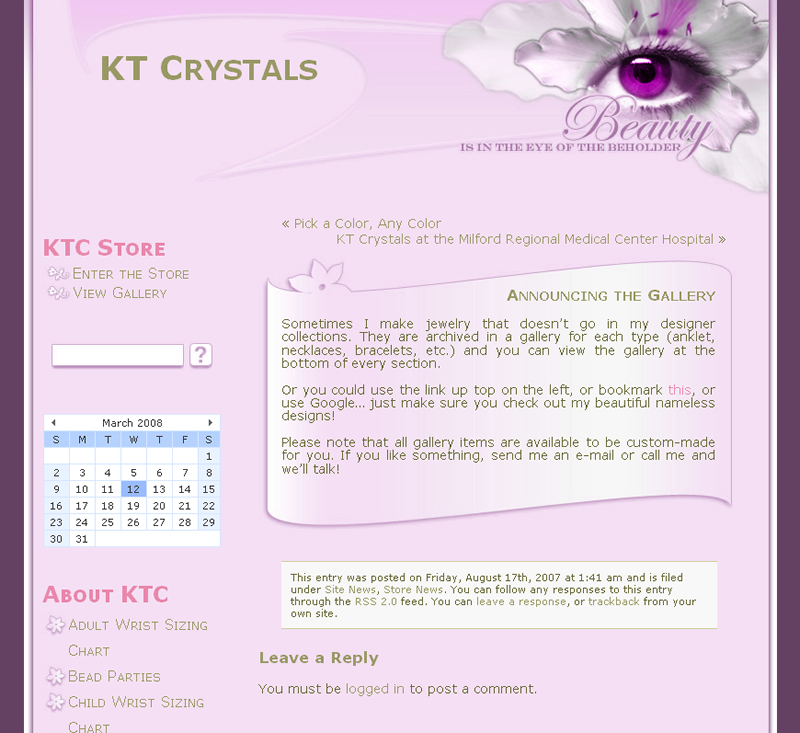 KT Crystals was my second co-op during the summer of 2005. 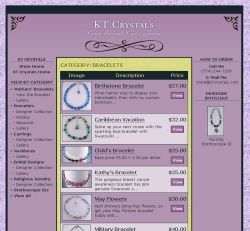 The owner wanted a website to showcase her jewelry and hopefully increase sales. It did... sort of. 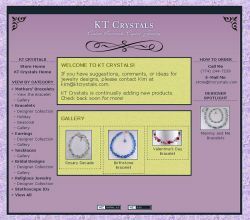 The original website is now defunct as the owner decided Etsy was a better venue for her products. 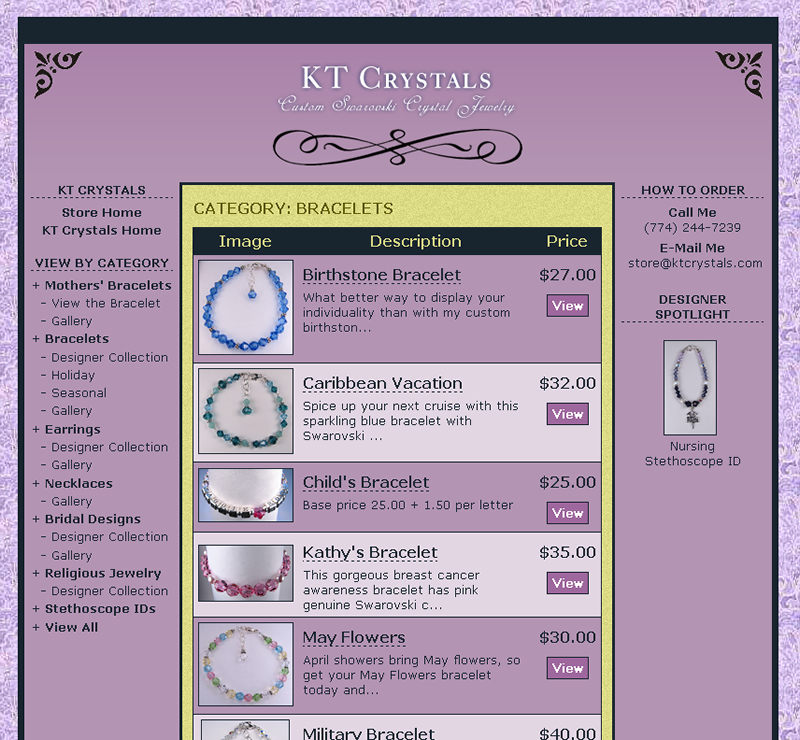 The domain name now points to a landing page which then redirects to her Etsy shop. 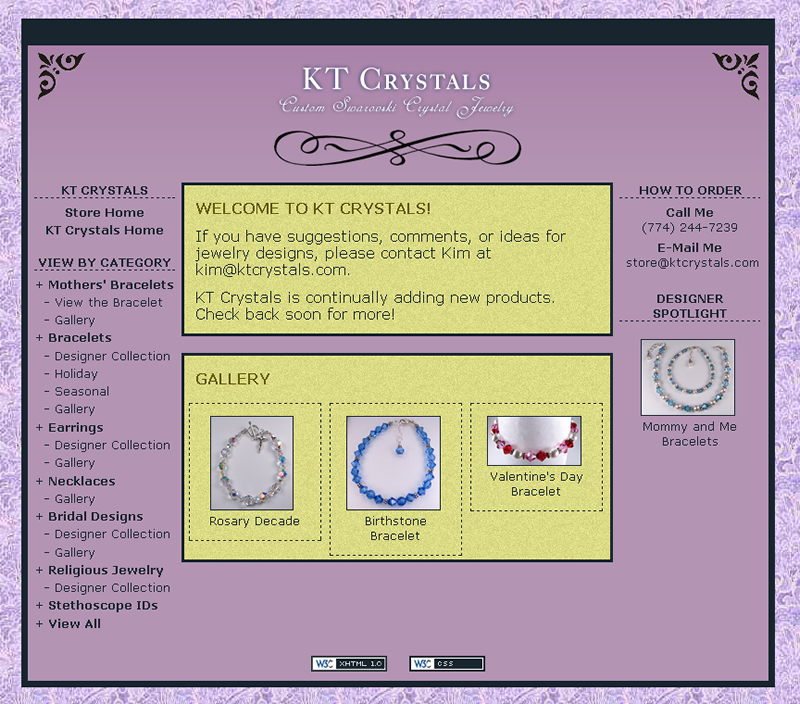 KT Crystals was my first foray into WordPress long before WordPress had all the neat toys that make our life easier today like widgets, nested menus, and child themes. Additionally, poking through WordPress's code gave me insight into how enterprise-level applications in the "real world" might function.